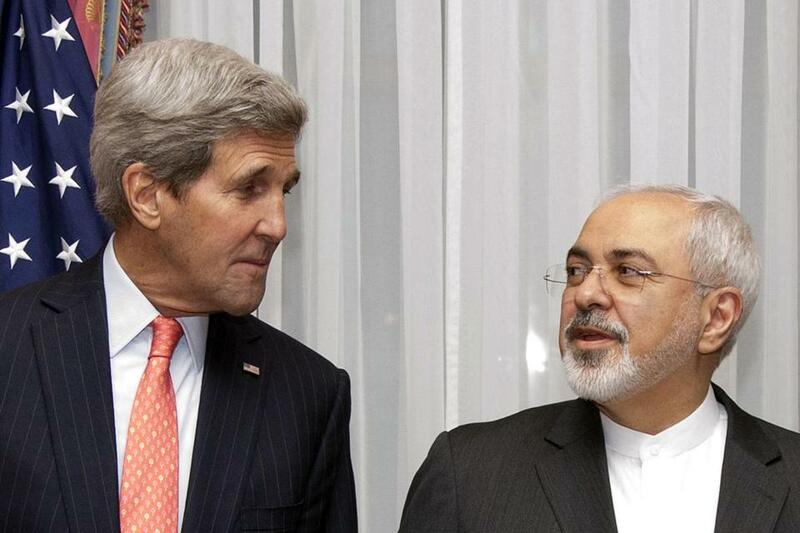 Secretary of State John Kerry and his Iranian counterpart, Mohammad Javad Zarif. While neither really wants to admit it, Democrats and Republicans worked in tandem to get us to this point. Most Democrats don’t give President George W. Bush enough credit for his critical decision in 2005 to seek negotiations with Iran before considering the use of force. Similarly, most Republicans can’t bring themselves to admit that President Obama has been skillful in adopting Bush’s original construct of combining tough sanctions and the threat of force with diplomacy to pressure Iran to negotiate. We have an opportunity for a comprehensive plan to block every pathway Iran might use to build a nuclear weapon, writes John Kerry. The deep freeze between the two countries began when Iran’s revolutionary government held 52 American diplomats hostage for 444 days in 1979-81. 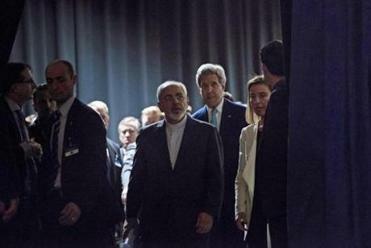 The United States rightly broke diplomatic relations, and embassies in both Washington and Tehran were closed. Diplomacy may or may not turn out to be the vehicle that resolves our differences with Iran. But there is at least the possibility that diplomacy’s redemptive powers might open new opportunities with this once implacable adversary. Congress is moving this week to insert itself into the negotiations with Iran. Senior Republicans and skeptical Democrats would be wise to do so in a way that strengthens rather than weakens the president’s hand in the difficult negotiations with Iran this spring. The president and his team know the road to a final agreement by June 30 will be long and problematic. They know substantial differences persist. They also understand that Iran needs a final deal more than we do. But let’s not give up on Obama’s diplomacy. It is still the surest path to where we should want to be with Iran after the deep freeze of the last three decades — working out our differences at a negotiating table rather than on a distant battlefield. It took a highly integrated campaign by Democratic and Republican administrations to force Iran to accept negotiations. • Colin Nickerson: Can the US-Iran rift be healed?